A previous post presented pictures of my Gulliver’s Travels illustrations. These were for IndePenPress and their Classics range, published in paperback and Kindle. 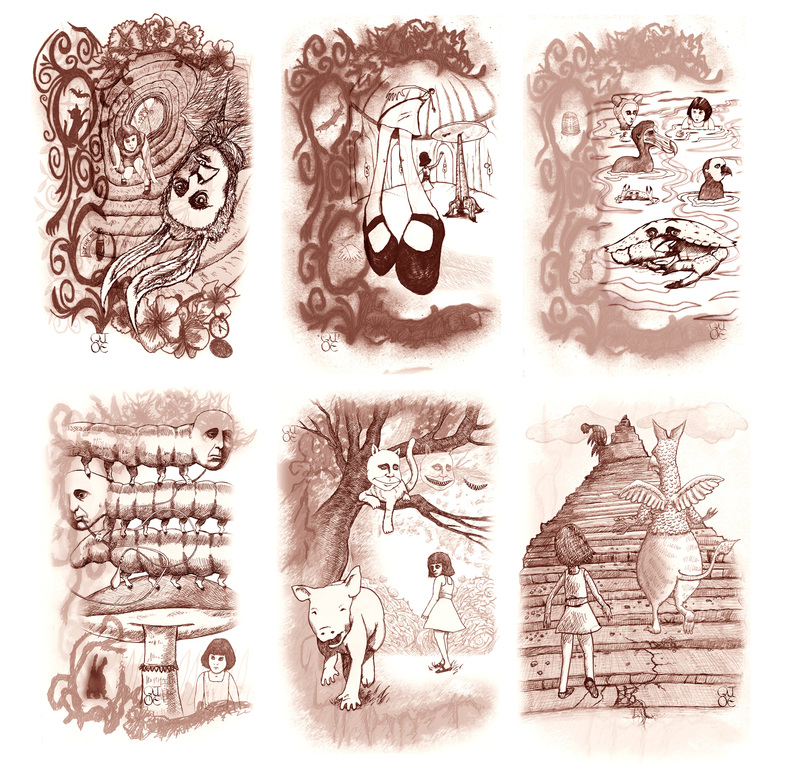 So here are some of the next set of illustrations – for Alice’s Adventures in Wonderland. So I had to find my own way into Wonderland. 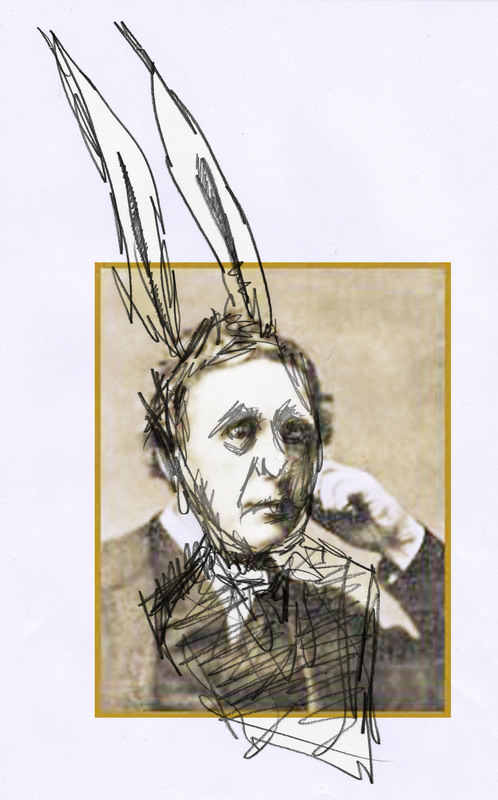 My starting point became the relationship between Lewis Carroll and Alice Liddell. I started to use photographs of Carroll’s face as a base for the characters in Wonderland. So the White Rabbit leading Alice from her sister’s side, becomes a symbol for Carroll himself. And then glimpses of a distorted Carroll appear again, creeping through in the other characters. These are set against a grumpy, frowning Alice. This entry was posted in Uncategorized and tagged Alice’s Adventures in Wonderland, quirkyjoe. Bookmark the permalink.